Uses her spells to create tiny snow flurries for the hatchlings to play in during the hot weather, her familiar is no short of magic as well. Her friendly snake changes colors in the blink of an eye. A highly trained and strong magician of her clan, and though she prefers to be known for her love of the occult and supernatural, she knows her fair share of magic, especially during battle. 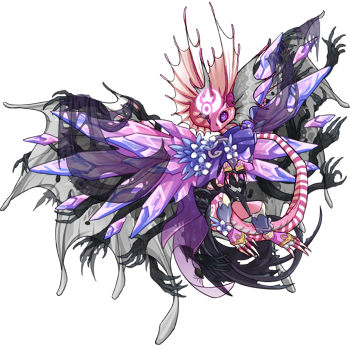 She is constantly surrounded by spirits of all kinds - one happens to be a Gloomwillow Guide that loves to spend its time in her feathers. An arcane dragon that finds herself intrigued with dark magic. She is perfectly proud of being called a witch by the other dragons, which in turn brought respect (though she is pretty old and no one doesn't want to go against her). She reads a lot, especially anything that could teach her new spells. Though her magic is a bit on the darker side, she will use it for protection over her clan, even if that means scaring off any unwanted enemy and/or visitor that might get too close. A wind representative and a subspecies of Wind called a Windchanter. He has a special kind of magic - one with music and story. This kind of magic is meant for battle, as he is not a fighter, but it is still enough to light the soul on fire if heard. It's hard for him not to constantly sing the songs of the Ancients, but he will often hum or sing quiet lullabies that are often heard to hatchlings. His magic holds a calming effect. Minerva is my magical fan dragon. Minerva is in charge of training young dragons in the arts of magic. She treats them all equal, regardless of their final purpose. Or atleast, so she tries. She cannot help but support the weaker dragons just a little more, to push them just a little harder. She's stern but kind, tolerating no foolishness during her lessons. After class she is a mentor and listening ear to the concerns of young minds. She guides them to make wise choices, but tries not to force the matter. In the end, a dragon has to make their own destiny. She's also my Coli healer. 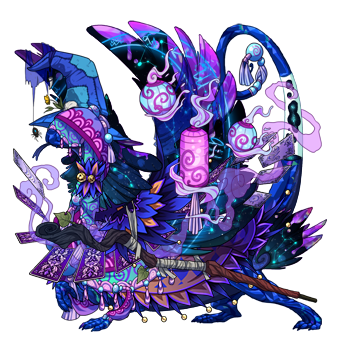 Lazura is my zoo's lovely fortune teller who performs magical psychic feats with her ethereal companion for the zoo's many visitors. Gavy is my magic dragon! [s]Claim! 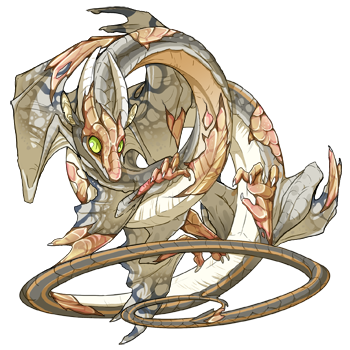 [/s] [url=http://flightrising.com/main.php?dragon=33212572] [img]http://flightrising.com/rendern/350/332126/33212572_350.png[/img] [/url] Fernflow is a poisonist who uses her plant related gifts to grow the right ingredients for her toxins. [url=http://flightrising.com/main.php?dragon=34252552] [img]http://flightrising.com/rendern/350/342526/34252552_350.png[/img] [/url] Her son, Mirkwood, inherited her gifts, but prefers to use them in more direct ways, such as suffocation and strangulation. [url=http://flightrising.com/main.php?dragon=36281574] [img]http://flightrising.com/rendern/350/362816/36281574_350.png[/img] [/url] "I am loved by my parents and by my new mom too. My gift let's her see what is around us so she doesn't have to break the rules. Heron is my new mom and I love her very much. I also have minor healing magics, not as good as my mom though." And this is Mirabell! 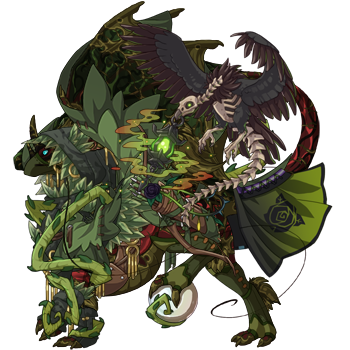 Fernflow is a poisonist who uses her plant related gifts to grow the right ingredients for her toxins. Her son, Mirkwood, inherited her gifts, but prefers to use them in more direct ways, such as suffocation and strangulation. "I am loved by my parents and by my new mom too. My gift let's her see what is around us so she doesn't have to break the rules. Heron is my new mom and I love her very much. I also have minor healing magics, not as good as my mom though." 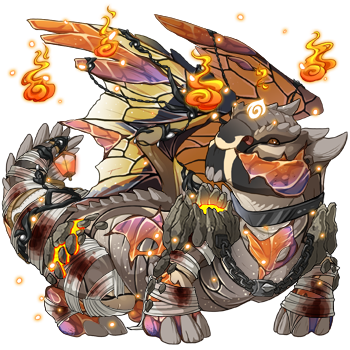 [url=http://flightrising.com/main.php?dragon=35784056] [img]http://flightrising.com/rendern/350/357841/35784056_350.png[/img] [/url] guess this Arcane prodigy fits the bill! [url=http://flightrising.com/main.php?dragon=37423508] [img]http://flightrising.com/rendern/350/374236/37423508_350.png[/img] [/url] and this Shadebuster as well! guess this Arcane prodigy fits the bill! and this Shadebuster as well!